Issues on security challenges and safety are matters of grave concerns in Nigeria today. Presently, life has always been precarious in the country and the impact of this massive sense of insecurity on the human living especially in the construction industry cannot be overemphasized. The paper examines in a thematic form, the importance of security to the nation‟s economic growth, overview of Nigeria construction industry and notable security crisis facing some geopolitical zones in Nigeria. The study identifies the effect of security challenges on the overall project cost in the four geopolitical zones in Nigeria using questionnaires, structural interview and case study as the research methods which were analyzed using descriptive method. Investigationconfirmed security porosity as a threat on the economic development of the affected areas and revealed effect of poor security on construction works. Keywords: Construction, Cost, Economic growth, Nigeria, Security.
. Daily Independence. (2013). Nigeria accounts for 26% kidnaps Globally, retrieved 21st April, 2015. The aim was to find the optimal way of getting the best quality of dried cherries with and without treatment. Fresh and frozen cherries were dried and the yield was analyzed after drying in the dry state, after the effect of environmental parameters, in this case temperature. Dried cherries are treated with various treatments, vitamin C, citric acid, SO2, solution and clay (series I, II, III, IV and V) in order to show that the treatment is given the best results, in terms of drying rate and reducing weight. The percentage of moisture content is determined in the drained cherries, in order to demonstrate that they lost a little or a lot of moisture when exposed to temperature changes as external factors. Dry yield was not sticky and did not lose its color, which indicates that the drying temperature of 70°C was adequate. Testing has shown that dried cherries that were frozen have changed little of its properties, unlike fresh. Moisture content at the end of drying was approximately 16% of the initial value of moisture content. Key words: yield, methods, cherry, moisture content, environment.
. Mcintyre, B., et al., (2011). The best-laid plans: climate change and food security. Climate and development, 3, pp 281–284. An attempt has been made to design and working single axis solar tracker system a using PIC16F877A microcontroller for storing ambient temperature data. Usually the sun is not really focused in visually manner, in solar radiation.Solar can seems the sun has have number of traces in visually manner. But in My project the traces has to be seen by time based, to tracking the sun, in the sun tracker.I have used proposal concentrator .I am rectified the traces to be seemed.By using "STEPPER MOTOR‟ we have set the point for adjusting to track the sun tracking system.We set the point for ‟CALCULATION ALGORITHIM‟ .By using the concentrator we have been adjusted the temperature sensor.If the temperature is "MAXIMUM‟ it can be adjusted to set point it have been tracked it is to be adjusted. Keywords: Battery, Microcontroller, Sensor, Stepper Motor, Motor Driver Circuit, Limit Switch.
. Agee J.T., A. Obok-opok And M.D.Lazzer.,2007. Solar tracker technologies:Market trends and field applications. Advanced Materials Research,18(19):339-344.
. AhmetSenpinar and Mehmet cebeci., 2011.Evalution of power output for fixed and two axis tracking PV arrays.Applied Energy, "article in Press".
. Ai.B.,H.Shen., Q.Ban., B.Ji and X.liao., 2003.calculation of the hourly and daily radiation incident on three step tracking plans.EnergyConversion and management, 44:1999-2011.
. Ali Al Mohamed.,2004.Efficiencyimprovent of photo voltaic panels using a Tracking system.Applied Energy,79:345-354. Paper Title :: Expression of pro-inflammatory cytokine (IL -1) and collagenase (MMP-8) in infected dermal wound healing in a rat model. Wound infection is a major problem, which hinders the normal healing process. To overcome this problem in the current study, chemically modified collagen bilayer dressing with drug ciprofloxacin was designed and its efficacy was checked on infected wound healing. Therefore the author's objective was to evaluate the dressing on full thickness infected wound on rat animal model. In vitro drug release pattern, antimicrobial activity and in vivo efficacy of the dressing were studied. The healing pattern was analyzed on days 3, 5, 7, 14 and 21 by wound closure rate, bacterial population, collagen content, immunological and histological examinations of tissue samples. In vitro drug release pattern showed a release profile for 5 days with effective drug concentration confirmed by zone of inhibition. In vivo analysis showed significant wound closure, collagen content from the granulation tissue, enhanced healing in the treatment group. Immunological analysis of MMP-8 and IL-1α using western blot and immunohistochemistry confirms normal healing pattern in treatment group. Histological analysis and wound closure further confirmed proper healing in treatment group. Our results suggest that sustained release of ciprofloxacin from a collagen bilayer dressing eliminates bacterial infection, leaving a pathogen-free wound environment, and it can be used as a dressing for an on-site delivery system.
. C.H. Heldin and B. Westermarck, Role of platelet-derived growth factor in vivo, in: R. Clark (Ed. ), The Molecular and Cellular Biology of Wound Repai, (New York: Plenum Press, 1996).
. S.J.Leibovich and R. Ross, The role of the macrophage in wound repair. A study with hydrocortisone and antimacrophage serum, Am J Pathol, 78, 1975,71. During cylindrical grinding,there are many factors that determine the precision and accuracy of the finished product. These may include dimensional accuracy, surface integrity, circularity (roundness), cylindricity, surface hardness etc. This paper presents the results of an experimental investigation to find effects of grinding parameters on micro-hardness, roundness and bearing ratio in cylindrical grinding. There are various grinding variables including the wheel morphology, grinding machine stiffness, cutting parameters, work holding methods, wheel loading, wheel dressing methodologies, all these affects the quality of ground parts. It is well understood that, the roundness error, disturbance in bearing ratio and drop in micro-hardness are generated due to many grinding variables, but in this study the effect of wheel speed (Vs), work speed (Vw), in-feed (f), wheel balance (b), coolant flow (Cf), dressing feed (fd) and spark-out time (ts), which are vital grinding variables,are investigated by performing experiments on micro-alloyed steel using CBN grinding wheel at high speed regime. The grinding experiments were planned by statistical software Minitab according to the principle of orthogonal array.Bearing ratio was found to be the most related to in-feed and spark-out time, surface hardness is related to wheel-work speed, while roundness error is related to spark-out time for cylindrical grinding. Keywords: Cylindrical grinding, roundness error, surface hardness, bearing ratio (Rk).
. Balwinder Singh and Balwant Singh, "Effect of Process Parameters on Micro Hardness of Mild Steel Processed by Surface Grinding process" IOSR Journal of Mechanical and Civil Engineering, Issue 6 (Jan. 2014), PP 61-65.
. MeghanshuVashista, Shobhit Kumar, AmitavaGhosh, and Soumitra Paul, "Surface Integrity in Grinding Medium Carbon Steel with Miniature Electroplated Monolayer cBN Wheel" JMEPEG (2010) 19:1248–1255.
. V. Senthil Kumar, R. Sri Prasanna Balaji, K. Arjun Vignesh, A. Allan Andrew M. Saravanan and S. Sarabheswar, "Experimental Investigation on Process Parameters during Turning Process of Mild Steel,International Journal of Innovative Research in Science, Engineering and Technology,Vol. 5, 2016.
. H. Saglam, F. Unsacar and S. Yaldiz, "An experimental investigation as to the effect of cutting parameters on roundness error and surface roughness in cylindrical grinding"International Journal of Production Research, Vol. 43, No. 11, 1 June 2005, 2309–2322.
. Rao, S.B., Collins, J.F. and Wu, S.M., A quantitative analysis of roundness error in cylindricalchuck grinding. Int. J. Mach. Tool Design Res., 1981, 21, 41–48. This paper proposes the design and implementation of an overvoltage protection circuit for DC low voltage devices or appliances. The entire setup consists of basic components like 555 timer, diodes, relay, resistors and capacitors. The system can be used to protect devices having any decimal value of operating DC voltage. The maximum voltage over which the supply voltage should be disconnected from the load or the maximum operating voltage can be set by tuning a variable resistor used in the circuit. The system is compact, portable and consumes very low power; it also has remote control option to facilitate the user to control from a distance. The circuit was simulated in Proteus Professional Software before implementing on a Vero board. The experimental results obtained shows that the circuit is able to control the rating of overvoltage protection with high sensitivity. Peter Hasse, Overvoltage Protection of Low Voltage Systems, 2nd ed. The institution of Engineering & Technology, London, United Kingdom, 2008, ch. 2, pp. 45-47. P. Writh, "A simple over-voltage protection device for a low-frequency power amplifier," Journal of Scientific Instruments, vol. 44, No.7, pp. 570-578, July 1993. Mozar, S., van Bodegraven, T., Philips Corporate Patents and Trademarks, Over-Voltage Protection Circuit, European Patent Application, Filling Number 9520040 1.8, February 1995. An attempt has been made to design and working a data logger using microcontroller for storing ambient temperature data. The system works around the famous 8051 family .The system is designed and developed to measure the temperature with the help of the temperature sensors and the result is stored in memory such as EEPROM for post process analysis. During the testing it is verified that there is continuous and correct acquisition of data. It is also verified that the data is sequentially stored in a memory.
. Andrew J Thompson, John L Bahr and Neil R Thomson, "Low power data logger", proceedings of conference department of physics, university of otago, Dunedin.
. Atmel corporation, AT89C51 data sheet, 8-bit microcontroller with 4k bytes flash, Atmel Data book, 2000 update.
. A guide to data logging tutorial by Judy Ritchie, Copyright 1996-2003 by Onset Computer Corporation. In this paper, three auxiliary equations method is presented. Analytical multiple function solutions including trigonometric function, exponential function, hyperbolic function and elliptic function can be easily obtained. New exact interaction solutions of the KP equation are obtained successfully by using the three auxiliary equations method. It is very significant to help physicists to analyze special phenomena in their relevant fields accurately.
. Y Feng, Q Ding, Y.C Dong, H.Q Zhang, Hyperelliptic Function Solutions of Three Genus for KP Equation Using Direct Method , 2010,53, 4 , 615-618.
. B.B. Kadomtsev and V.I. Petviashvili, On the Stability of Solitary Waves in Weakly Dispersing Media, Sov. Phys. Dokl. 1970, 15,539.
. R. Hirota, Exact Solution of the KdV Equation for Multiple Collisions of Solutions, Physical Review Letters, 1971, 27, 18, 1192-1194.
. J. Weiss, M. Tabor, G. Garnevale, Painlev property for partial differential equations, J. Math. Phys, 1983, 24, 3 , 1405 1413. Blending of polymers is one of the most useful methods for synthesizing solid polymer electrolytes. Blend polymer electrolytes have been prepared with Polyvinylalcohol (PVA)-Polyacrylonitrile (PAN) and polyyvinylidenefluoride (PVdF) doped with lithium nitrate with different concentrations by solution casting technique , using Dimethylformamide (DMF) as the solvent . The prepared electrolytes are characterized by Fourier transform infrared (FTIR), Ultraviolet (UV) ,AC Impedance (LCR) and measurement techniques. The ionic conductivity has been found out by the LCR analysis. From AC impedance spectroscopy the maximum ionic conductivity has been found to be 1.0280×10^-4 S/cm at 303 K polymer electrolytes at ambient temperature. The complex formation between the polymers and the salt has been confirmed by FTIR analysis . The band gap studies have been done by UV. Keywords: Polyvinylalcohol, Polyacrylonitrile, Polyyvinylidenefluoride, UV , FTIR,LCR.
. Ali Akbar Yoursefi, "Influence of Polymer Blending on crystalline structure of Polyvinylidene Fluoride. "Iranian Polymer Journal 20(2), 2011, 109-121. Law enforcement agencies like other organizations are facing a difficult task of handling and making use of crime data which is in different formats that is generated every day which would otherwise help them in effective crime management. Developing a low cost Business Intelligence system for crime data analytics requires low cost development tools and this is where open source business intelligence tools come to rescue. Therefore there is a need to identify an efficient and effective open source business intelligence tool for the implementation of a Business Intelligence System for crime data analytics. This paper discussed five open source BI tools; Apache Hadoop, Jaspersoft, Pentaho, SpagoBI and vanilla. From the analysis, Apache Hadoop is recommended by this research for crime data analytics because it has some functionalities which are not found to other open source tools which includes but not limited to distributed storage and processing of big data sets, Ability to store and process huge amounts of any kind of data quickly, fast computing power, Fault tolerance, Flexibility (processes structured, semi structured and un structured data) and Scalability. Pentaho and SpagoBI come the second with very good number of features, then vanilla follows and lastly Jaspersoft. The analysis of the features was only limited to open source BI tools and therefore the commercial versions of the tools were not considered in this study.
. Dr. Rakesh Rathi and Sandhya Lohiya . Big Data and Hadoop. 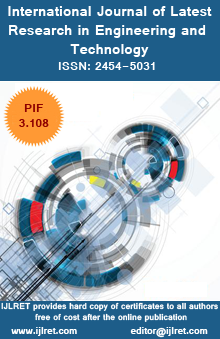 International Journal of Advanced Research in Computer Science & Technology (IJARCST 2014). Vol. 2, Issue 2, Ver. 2 (April - June 2014).
. St. Laurent, Andrew M. (2008). Understanding Open Source and Free Software Licensing. O'Reilly Media. p. 4. ISBN 9780596553951. Blending of polymers is one of the most useful methods for synthesizing solid polymer electrolytes. Blend polymer electrolytes have been prepared with Polyvinylalcohol (PVA), Polyacrylonitrile (PAN) and polyyvinylidenefluoride (PVdF) doped with lithium nitrate different compositions by solution casting technique using Dimethylformamide (DMF) as the solvent. The prepared electrolytes are characterized by X-ray diffraction analysis (XRD) and AC Impedance techniques. (LCR). XRD shows the amorphous nature of the prepared polymer electrolytes. The ionic conductivity has been found out by the LCR analysis. The maximum ionic conductivity has been found to be 1.901×10-3 (S/cm) at 303K 0.5 M wt% LiNO3 doped polymer electrolytes. Dielectric studies are made to know the electric properties of the prepared electrolytes. Keywords: Polyvinylalcohol, Polyacrylonitrile, Polyyvinylidenefluoride, LCR, XRD.
. Mac Callum JR, Vincent CA (eds) (1987 and 1989) Polymer electrolyte reviews and Elsevier, London.
. Siva devi S,Selvasekarapandian S ,Karthikeyan S, Vijaya N, Sanjeeviraja C, Kingslin Mary Genova F. Structural and AC Impedance Analysis of Blend Polymer Electrolyte based on PVA and PAN. International journal of scientific research, 2013; 2: 1.
. Subramaniyan A. Kalyana Sundaram N.T , Vijayakumar , Vasudevan. T (2006 ) Effect of Salt concentration in ( PVA – PAN ) based plasticized polymer blend electrolyte for L.i ion battery application ionics 12:175.
. Siva devi.S,Selvasekarapandian.S, S,Karthikeyan S,Sanjeeviraja C,Nithya H,Iwai Y, Kawamura J. Proton-conducting polymer electrolyte based on PVA-PAN blend doped with ammonium thiocyanate. International journal of Ionics the science & technology of motion, 2014; 9-10. In the world tea trade scenario, India stands as a leader. But Indian tea industry has to take great care in energy consumption patterns for rational utilization of the existing sources of energy as well as for future implementation of possible nonconventional energy sources. Through rational utilization of conventional energy alone, a potential savings up to 20% electrical energy and 40% heat energy can be accomplished. Technologies like Combined Heat and Power systems (cogeneration), waste heat utilization etc. help in achieving pollution control and energy efficiency. Use of nonconventional energy through solar dryers, biomass gasifiers, wind generator etc. will prove to be a boon to energy intensive industry like tea processing in future. Keeping this ground level scenario in mind, this project intends to present a case study, conducted at a Tea factory and Plantation, Dibrugarh, Assam, to reduce its input costs of energy in order to increase the overall productivity of the tea estate. The estate produces Cut-tear-curl (CTC) category of black tea. With sufficient understanding of concepts of optimization and modelling, systematic data can be collected from the tea estate, analyzed, modelled in a suitable way and a new improved model can be suggested with lower input costs and increased productivity. The patterns of energy consumption in the various subsystems in general, and withering and drying in particular can be analyzed and empirical relations are formulated by the application of EORT modelling. These models may be optimized and results can aim at striking a balance between withering and drying with a view to minimize energy input without a corresponding compromise in quality. The optimized model can be developed for each and all Tea Industry for better understanding of energy consumption and prediction of the tea production. Recently, the emphasis on fuel conservation and reduction of undesirable emissions has generated larger interest in utilizing water-in-oil emulsions in conventional liquid fuelled combustors. Emulsified Fuels are emulsions composed of water and a combustible fuel. In this work, the performance of an engine together with its effect on environment will be tested when engine powered by both pure diesel and emulsified fuel with various quantities of water content in the diesel fuel. The amount of water quantities added will be ranged between 5% and 30% by volume in a direct injection diesel engine. The physical properties of stable water-diesel emulsions such as density, viscosity and pour point will be observed. The aim of this work is to study the effect of water emulsified diesel on the performance characteristics (BTE, BSFC, BP and EGT), the emission characteristics (NO2, PM, CO, CO2, O2, SO2, and Smoke Density) and engine speed, torque, brake power output, brake specific fuel consumption, brake thermal efficiency, exhaust gas temperature for varying loads and speeds will be studied with required modifications in a CI engine to get the best results. Keywords: Diesel engine, Engine performance, Emulsified fuel, Diesel fuel, Exhaust gas temperature, Engine emission. Murali, T., N. Ramamurthy, M. Krishna and R. S. Kulkarni "A Comparative Evaluation of the Performance and Emission Characteristics of Compression Ignition Engine Using Water Diesel Emulsion as Fuel" Proceedings of the 1st International Conference on Natural Resources Engineering & Technology(2006) 679-690. Biplab K. Debnathn, Ujjwal K. Saha, and NiranjanSahoo, "A comprehensive review on the application of emulsions as an alternative fuel for diesel engines", Renewable and Sustainable Energy Reviews 42 (2015) 196-211. Ahmad MuhsinIthnin, Hirofumi Noge, Hasannuddin Abdul Kadir and WiraJazair, "An overview of utilizing water-in-diesel emulsion fuel in diesel engine and its potential research study", Journal of Energy Institute 87 (2014) 273-288. B. Sachuthananthan and K. Jeyachandran, "Combustion, Performance and Emission Characteristics of Water-Biodiesel Emulsion as Fuel with Dee as Ignition Improver in a DI Diesel Engine", Journal of Environment Research and Development Vol. 2 No. 2 (2007). Mohammed Yahaya Khan, Z. A. Abdul Karim, FtwiYohanessHagos, A. Rashid A. Aziz and Isa M.Tan," Current Trends in Water-in-Diesel Emulsion as a Fuel" The Scientific World Journal 15 pages 527472 (2014). In compact plate fin heat exchanger for increasing the rate of heat transfer, triangular duct plate fins array are useful. Generally, triangular duct plate fin array inserts causes increase surface area introduces in the rectangular duct continuously disrupts the thermal boundary layer of fluid on the duct. This analysis has done on a single unit of duct with inserts of triangular duct plate fin array and this investigation is useful to increase the thermal performance of a heat exchanger. Analysis, triangular duct plate fin array inserts increase the heat transfer rate with expectation of mass flow rate of fluid.
. M. Picon-Nunez, G.T. Polley, E. Torres-Reyes, A. Gallegos-Munoz, "Surface Selection And Design Of Plate Fin Heat Exchangers," Applied Thermal Engineering 19 (1999) 917-931, 1998.
. Manish Mishra and Prasanta Kumar Das, "Optimum Design Of Crossflow Plate-Fin Heat Exchangers Through Genetic Algorithm," International Journal of Heat Exchangers, Volume 5, Issue 2, PP. 379-401, 2004.
. Nilesh K. Patil and Manish K. Rathod, "Numerical Investigation On Effect Of Operating Parameters On Plate Fin Heat Exchanger," Proceedings of the World Congress on Engineering 2012, Volume II, Issue July 4 - 6, London, U.K., 2012.
. Mukesh Goyal, Anindya Chakravarty, and M.D. Atrey, "Two Dimensional Model For Multistream Plate Fin Heat Exchangers," Elsevier Science Ltd., PP. 70-78, 2014. Alzheimer's disease (AD) is a tenacious neurodegenerative brain disorder that adversely influences its victims' memory. Due to its progressive property, early detection of the disorder is crucial for regular observation of the patient's condition. This research concentrates towards determining an optimum classification algorithm for an early and rapid diagnosis of AD. The proposed method constitutes for high efficiency through a Computer visionimage enhanced MRI brain scan where brain volume features are extracted via the regional MRI measurementtechnique, fed separately to a Linear Support Vector Machineand a Logistic Regression classifier for result verification and method comparison. Effectiveness of the suggested method is then computed through the accuracy, sensitivity, specificity, and precision. For 100 MRI brain scans, 30 being the test set, results indicate 73% accuracy using the Linear Support Vector Machines method, while 50% accuracy is achieved with Logistic Regression. However, improvement is expected upon the application of the same technique in a larger sample set of brain scans.
. M. Archana and S. Ramakrishnan, "Detection of Alzheimer disease in MR Images using structure tensor," in 2014 36th Annual International Conference of the IEEE Engineering in Medicine and Biology Society, Chicago, IL, 2014, pp. 1043-1046.
. M. Rangini and G.W. Jiji, "Detection of Alzheimer's disease through automated hippocampal segmentation," in Automation, Computing, Communication, Control and Compressed Sensing (iMac4s), 2013 International Multi-Conference on, Kottayam, 2013, pp. 144-149.
. R. Alattas and B.D. Barkana, "A comparative study of brain volume changes in Alzheimer's disease using MRI scans," in Systems, Applications, and Technology Conference (LISAT), 2015 IEEE Long Island, Farmingdale, NY, 2015, pp. 1-6.
. M. Wallace L. Kurlowicz, "The Mini Mental State Examination (MMSE)," The Hartford Institute for Geriatric Nursing, New York, Questionnaire Issue Number 3, 1999.